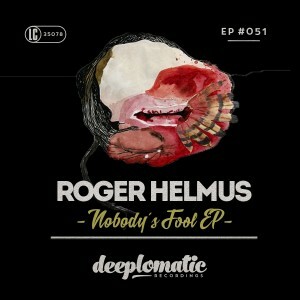 Deeplomatic Recordings EP#051 ‘Nobody’s Fool’ from Roger Helmus has finally arrived! It is the perfect combination of wondrous melodies and deep, pumping bass lines. Every track possesses a striking vocal, each with its own feel. With influences from the 90’s to create smooth deep vocals, the creations inject different dimensions into each track. Helmus’ delicate arrangements and alluring drops will keep you hooked! The title track Nobody’s Fool is a catchy tech house banger with an incredible powerful vocal. Budapest, a layered melodic track with a deep mesmerizing vocal is a proper treat. Finally, Past and Present, a carefully build-up track with a fine techy bass will take you to a new dimension!